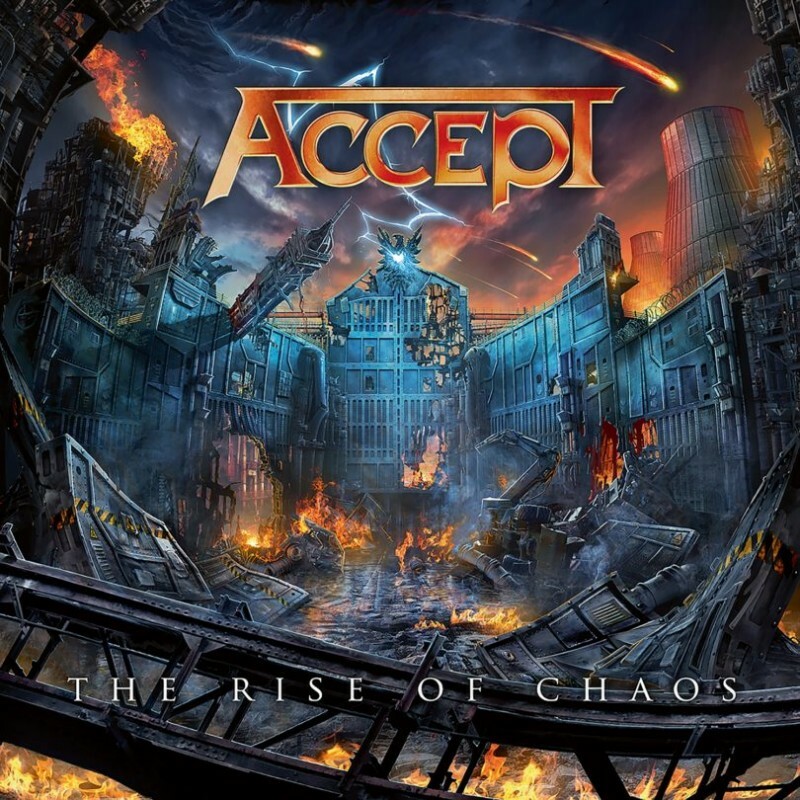 This is the fourth album of Accept's re-birth and still their star rises. Last album 'Blind Rage' actually hit the Number One spot in Germany and Finland, and proved that they are still a very relevant band in the multi-genre Metal community of today. Once again produced by current Hell and ex-Sabbat guitarist Andy Sneap in Derbyshire, he has consistently kept the traditional Accept sound whilst allowing for Wolf Hoffmann's innovative solos to shine. It was four months after the release of '...Rage' that long-time Accept cohorts – second guitarist Herman Frank and drummer Stefan Schwarzmann – departed the band, and in late 2014 Hoffmann recruited new second guitarist and ex-Grave Digger member Uwe Lulis and American drummer Christopher Williams (who could count Kid Rock, Blackfoot and John Corabi amongst the many artistes he had played with) to the band, alongside co-founder Peter Baltes and long-time vocalist Mark Tornillo. 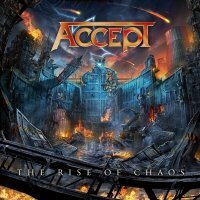 What you get with 'The Rise Of Chaos' is a typically traditional sounding Accept album. There is nothing left-field or experimental, just typical straight-ahead Accept Metal anthems, such as first single and title track 'The Rise Of Chaos', 'What's Done Is Done', 'Worlds Colliding' and the epic 'Race To Extinction'. 'Hole In The Head' has a slightly quirky chorus and the fast-paced 'Carry The Weight' has possibly the first mention of Brexit in its lyrics, alongside natural disasters, terrorist bombings, plane crashes and financial messes as Tornillo intones "don't carry the weight of the world on your shoulders". Hoffmann typically discusses this album as reflecting his thinking; he has long thought about the rise in world chaos as the visible destruction one sees, and also the invisible destruction that he feels more and more. The striking cover artwork by Gyula Havancsàk illustrates this rather dystopian and destroyed scenery and reflects Hoffmann's view rather well. Regarding my favourite songs from the album, second single 'Koolaid', about the Jonestown mass suicide in Guyana, has a great opening melodic tempo and is strong and catchy with a wonderful solo, despite its rather tragic lyrical content. The other song that strongly appeals to me is 'Analog Man', it's a throwback reminiscent of their mid-eighties period with cool riffs, marching rhythms and a great chorus – think 'Balls To The Walls' as you'll hear the comparisons – and with the line "I'm an analog man trapped in a digital world", it seems rather appropriate.